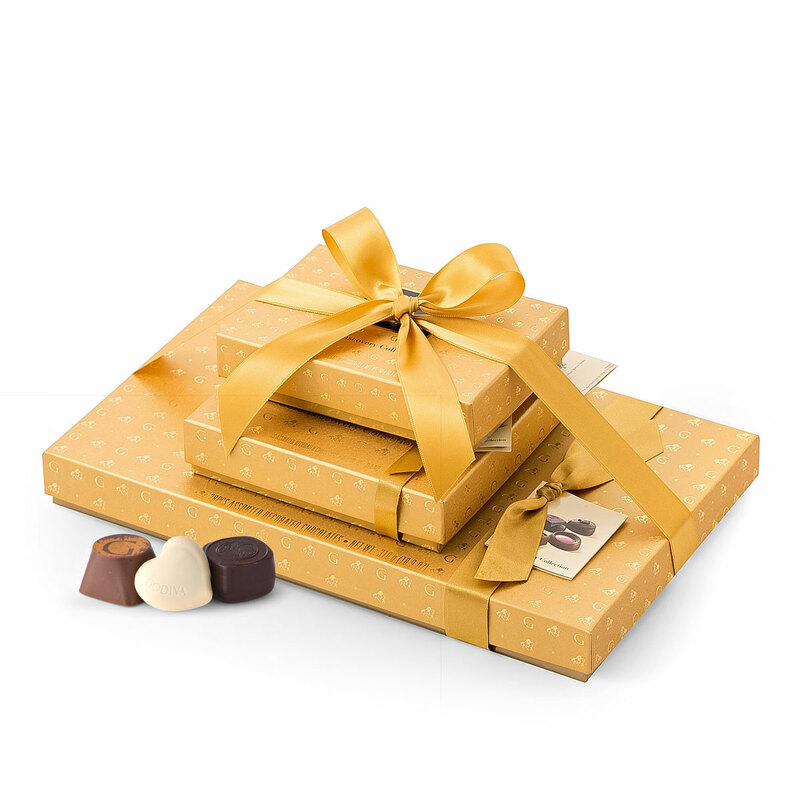 A tower of Belgian chocolate gold is a precious gift. 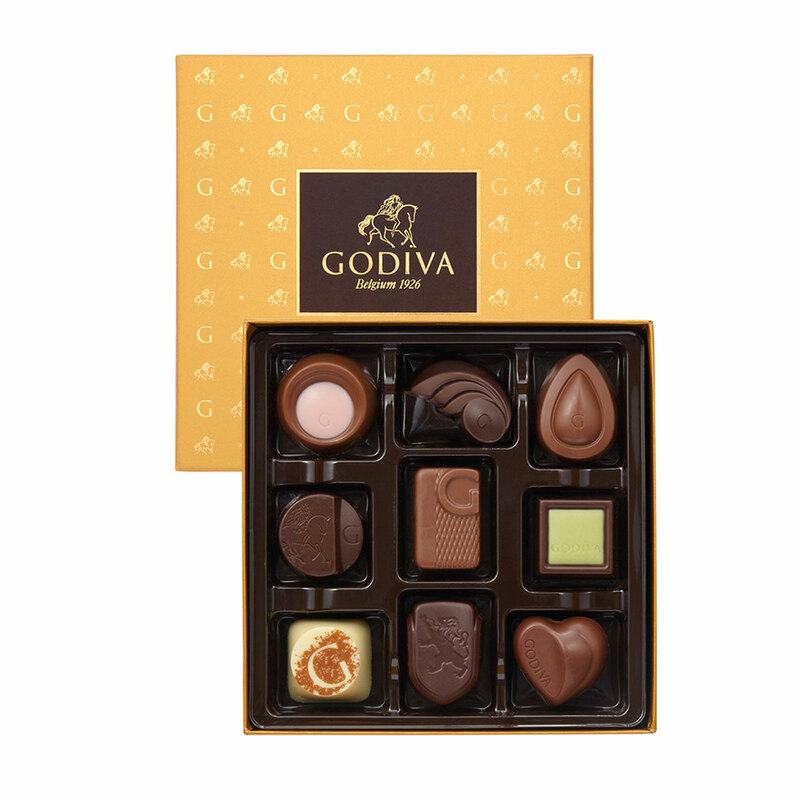 Three gift boxes from Godiva's Gold Discovery collection are tied together with a luxurious gold ribbon and presented in a stylish gold bag. 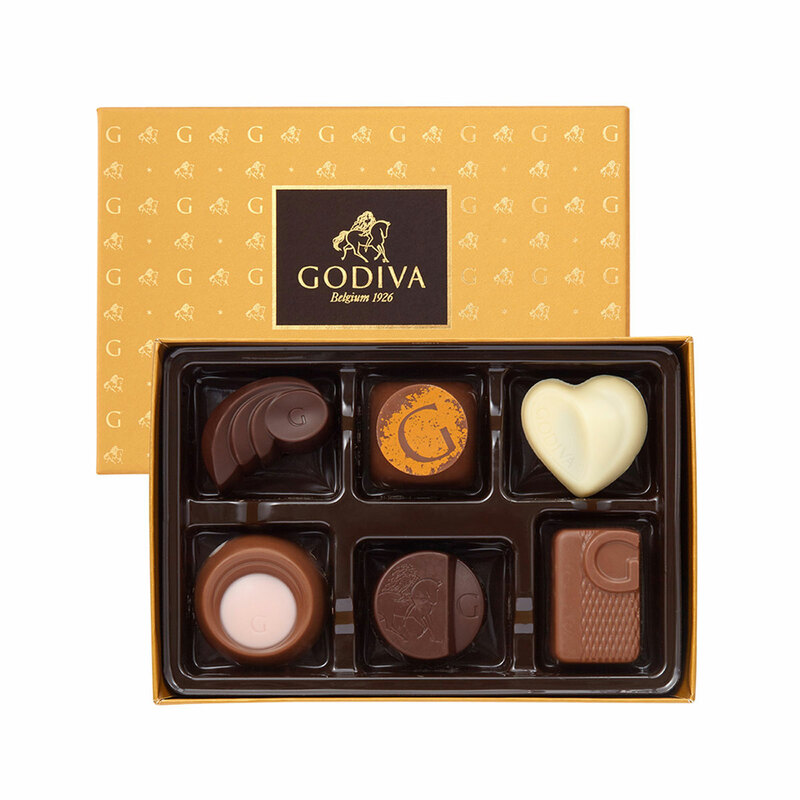 Delight in the journey of chocolate discovery with Godiva's New Gold Discovery Collection, a tantalising assortment that showcases the best of our chocolate expertise and craftmanship, following on from our Belgium tradition since 1926. 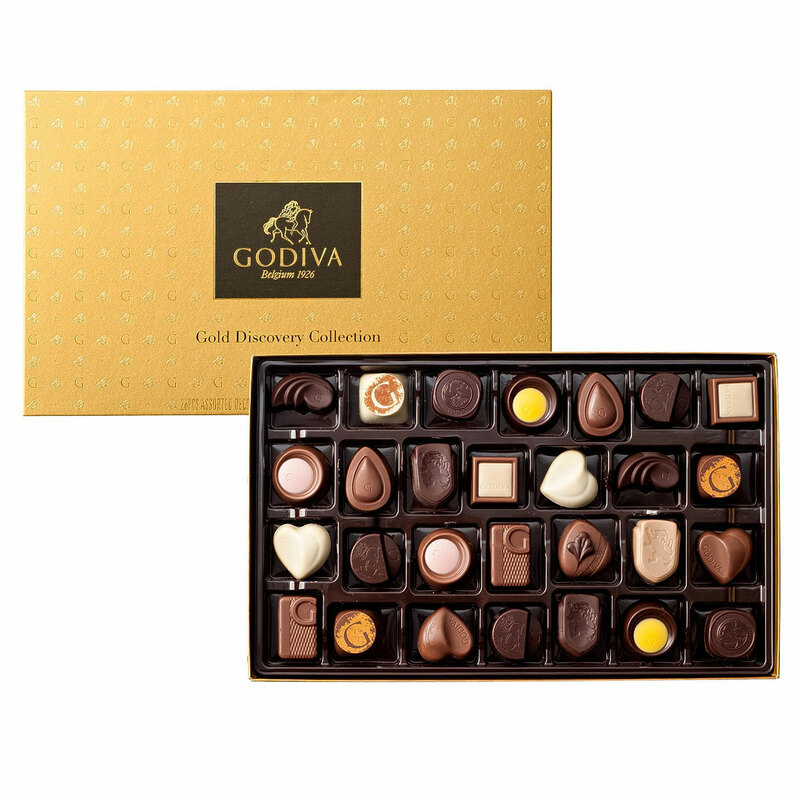 Whether you're looking for a special gift or a well deserved self treat, the Gold Discovery Tower is sure to delight.